Food licenses are issued by your local health department. They are required for (almost) anyone selling food directly to the public. The food license program is designed to ensure that foods being sold to the pubic are wholesome, honestly presented, and safe for consumption. The Ohio Uniform Food Safety Code sets the standards for facilities, equipment, personnel, and all facets in the flow of food; from purchasing and storage to preparation and delivery. A sanitarian, from the health department, will ensure that these standards are met prior to issuing any food license. Then, once a license is issued, routine inspections are performed to ensure that facilities continue to adhere to the food code. There are different types of food licenses available. Temporary — A Temporary food license is available to those who only want to sell food for a short period of time, such as at an event. This type of license is good for up to 5 consecutive days and can be issued up to 10 times per year. A temporary food license in Meigs County costs $25 for non-profits and $50 for commercial applicants. Temporaries are only inspected once. Mobile — A mobile food license, such as for food trucks, is available for $218 per year in Meigs County. Once a person has a mobile food license, they may operate anywhere in Ohio that is open to vending. Mobiles must be inspected once per year. Vending — Vending licenses are for vending machines (a machine that automatically dispenses food in exchange for payment) that are selling potentially hazardous foods. These are inspected once per year. Machines must be equipped with a locking mechanism to prevent the machine from operating in the event that a power outage has caused the food to lose temperature for a prolonged period of time. A vending license in Meigs County cost $24.54. Risk Level 3 — This category poses a higher potential risk to the public than risk level 2 because of the following concerns: proper cooking temperatures, proper cooling procedures, proper holding temperatures, contamination issues or improper heat treatment in association with longer holding times before consumption. Level 3 establishments are inspected twice per year and cost $403. Most restaurants and grocery stores fall into this group. Risk Level 4 — Level 4 businesses pose the highest risk. These facilities may reheat in bulk quantities, use time as a public health control, serve raw meats, and or serve primarily high-risk populations. Examples of businesses in this category include hospitals, nursing homes, preschools, sushi restaurants and any restaurant that reheats in bulk or caters. Level 4 facilities are inspected twice per year and also have a critical control point or process review done at each inspection. This license will cost $518.00 per year. Prices shown are for commercial licenses where total square footage is less than 25,000. Lower fees are assessed for non-profit organizations. Higher fees are assessed on those with more than 25,000 square feet. A portion of every food license fee, except temporaries, is forwarded on to the appropriate state agency. Grocery stores, pizza places and those establishments that are selling foods meant to serve more than one person are considered RFE’s (Retail Food Establishment) and a percentage of their license fee is sent to the Ohio Department of Agriculture. Restaurants, concession stands and those operations serving single meals are considered FSO’s (Food Establishment Operation) and a portion of those license fees are sent to the Ohio Department of Health. For more information about acquiring a new food license, check out our website: http://www.meigs-health.com/new-food-license. 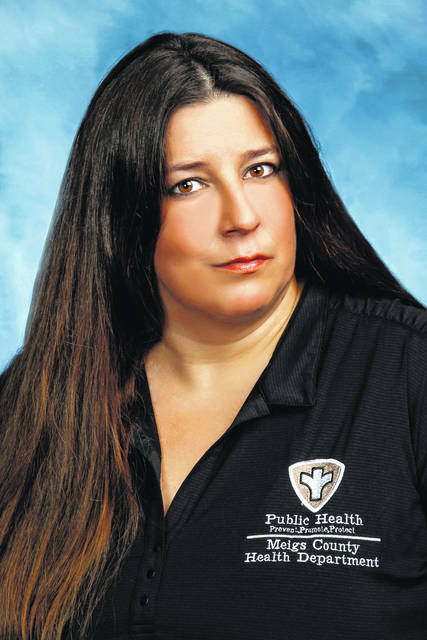 Dawn Keller is a registered sanitarian with the Meigs County Health Department.